I was in a menswear shop in a shopping mall in another city recently. 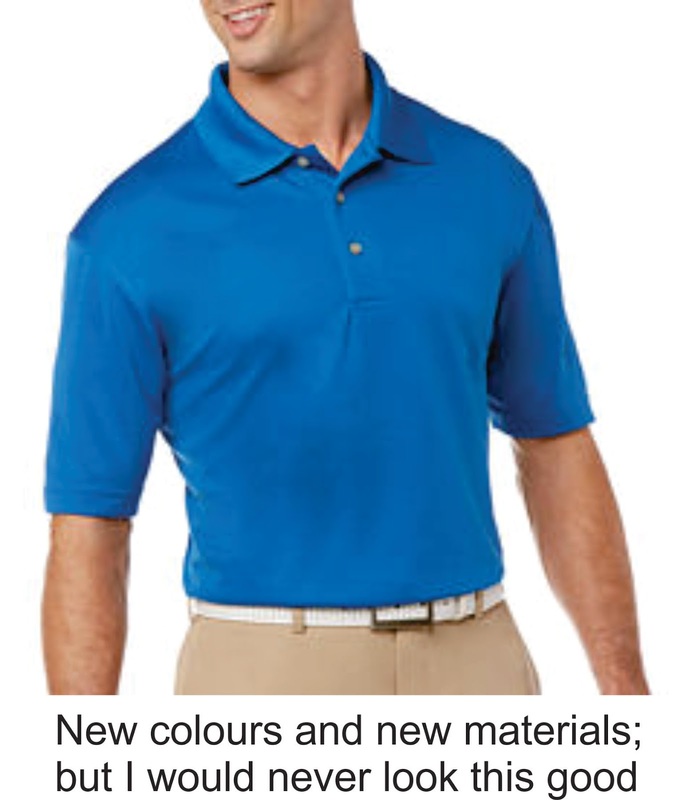 The franchise is noted for its fine polo shirts and I was gazing at their latest samplings when a shop assistant asked me if I needed any help. I assured her I didn’t; I was just looking I said. 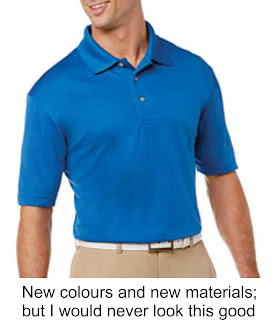 I have a number of this company’s particular brand of polo shirt, but my wife pointed out that these were new colours and were made of a vastly improved material from those languishing in my wardrobe. She thought I should upscale my trousseau. I assured her that my current vestments had a few more years left in them, but she reckoned they were getting out of shape and were fading. Both of these observations may have had a semblance of truth in them and it’s a characteristic of modern womanhood that they seem to always want their consorts to be seen in the latest fashion; as if anyone else would notice. I moved to another display stand and did discern a pair of shoes that I coveted, but by now my wife had sensibly moved next door to a ladies-wear store and so was not there to urge me to acquire. Not that I would of have; although I am not the male equivalent of Imelda Marcos I do have more shoes than you can shake a stick at, some of them having barely been worn. The shop assistant, passing by with clothes she was about to stack on an adjacent shelf, wanted to know was I still happy just browsing? I assured her I was and eventually left the premises with my credit card still firmly ensconced in my wallet. I’m not the least bit unhappy with this outcome, but there was a time when shop assistants were known as salespeople. I have come to the inevitable conclusion however that employees who actually sell their sponsors products are about as rare as a contemporary NZ voter extolling the virtues of MMP. With a bit of a nudge and some soundly thought-out dialogue I might well have walked out of the shop with a new pair of shoes and two state-of-the art polo shirts. I say two because the deal was $79.95 for one, or two for $140 - and I can’t resist a bargain. But it’s not just menswear shops. I have noticed the same lack of interest in marketing to diners in restaurants. When you go straight to the main course no effort is made to entice you to try an entree first. The main course menu often offers up extras like wedges, onion rings or mushrooms, but the waiter person never suggests you add these. And often you have to badger the individual attending your table to actually see the dessert menu. At a local restaurant recently I had to leave the table to get my guests a drink from the bar having failed to attract anyone in the dining room to come and refill empty glasses. And what about getting offered coffee or a liqueur at the meals end. In fact when did you last see any restaurant serving liqueurs to round off the evening? How come we've never kept up with inflation? Is this the longest war?